2. Let’s create our first cardboard element. 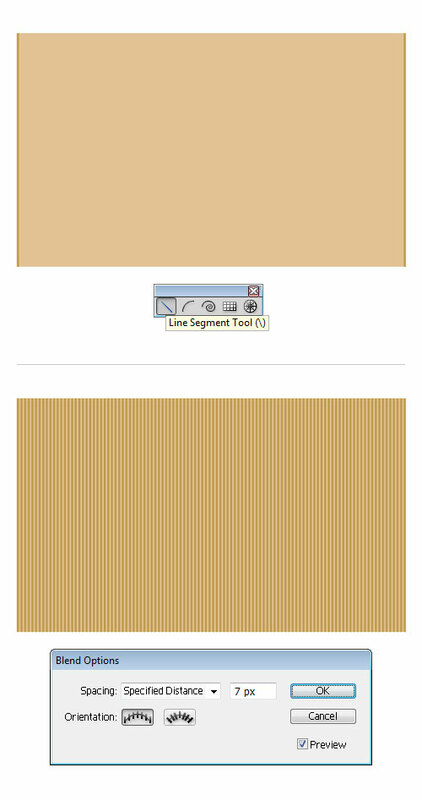 Grab the Line Segment Tool (\) and drag downward to create a vertical line along the left side of the background. 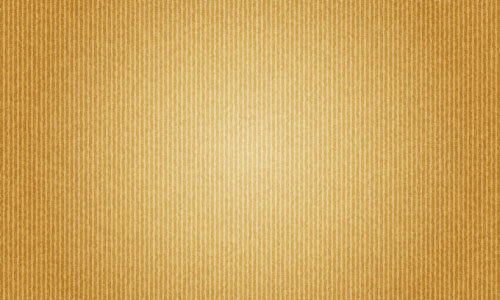 Change the stroke color to medium brown (R=192, G=155, B= 80) and set the Stroke Weight to about 4pt. 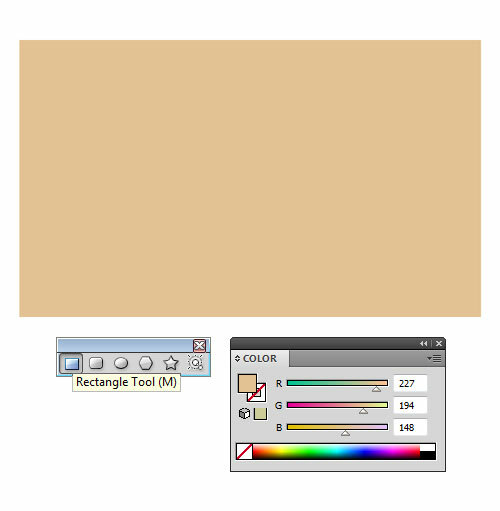 Duplicate the previous object and place it along the right side of the Artboard. Select both objects, and go to Object > Blend > Make (Alt+Ctrl+B) to multiply the objects. To modify the settings, double-click on the Blend Tool (W) from the Tools Panel, in order to open the Blend Options. Select Specified Distance from the Spacing drop-down menu, type 7px and confirm with OK.